Triumph has launched the next generation of its iconic Bonneville. The original launched in 1959 instantly developed a huge fan following due to its timeless design, sublime ride and simple layout. This, here, is the third generation of the family and carries forward the beautiful design of the original with even more technology hidden underneath. The design, though similar to the Bonnies of yore has been lavished with intricate details and better fit and finish. Case in point being the engine cover that is made from brushed aluminium and finished with an elegant bronze touch. Classic elements like the flowing lines of the fuel tank, wire-spoke wheels, fork gaiters, twin-clock instrument cluster and peashooter exhaust increase the nostalgia. Modern touches to the body include LED DRLs for the headlight and LED for the tail light. The chassis is also new and cradles the 1200cc parallel-twin engine, which is now liquid-cooled and fed by twin throttle bodies for a total output of 79bhp and 105Nm. Triumph claims that this unit produces more torque lower down for a better ride whilst giving enhanced fuel efficiency and cleaner emissions. The transmission is now a six-speed unit instead of the previous five-speed and, is equipped with a slip assist clutch for a more refined ride. Speaking of technology, the new Bonneville gets a variable ABS system, switchable traction control and, ride-by-wire fuel injection and engine management system. The ride-by-wire tech lends the Bonneville with two driving modes – road and rain. In ‘rain’ mode the throttle response is subdued to prevent slip in wet road conditions. Upping the comfort quotient are heated grips that come with three settings as standard. A USB charge socket increases convenience by letting the rider charge compatible devices on the go. Now, the most important bit – the price. 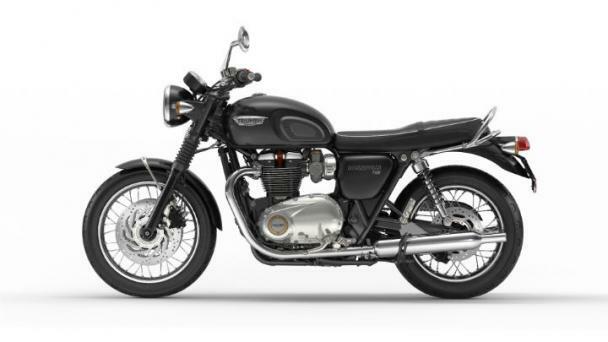 Triumph is offering the Bonneville T120 at Rs 8.70lakh (ex-showroom, New Delhi). Readers interested in owning the icon can head to any of Triumph’s 12 dealerships spread across the country.